My fiance was stationed in South Korea and I really depended on Shereen to help me through the planning process. She was great, very organized, and was with me through ever step of the way. Shereen was always a phone call away when I was stressing out, which was a lot! During the wedding and reception, I never had to worry or make a decision. I was able to enjoy every moment as a relaxed bride because I knew Shereen had my back! 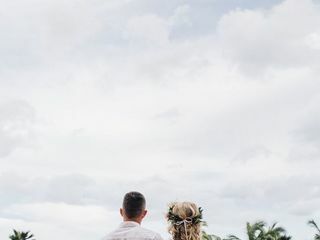 Shereen perfected every single detail of our destination wedding in Hawaii. She made everything on our end simple and fun, from finding me the most beautiful bouquet to suggesting a gorgeous and fitting ceremony location. The whole thing was perfect. She knew everything on the where/why with hotels, beaches, eating, entertainment, etc. I can't imagine planning something like this without her. She will do everything in her power to make your day special because she truly cares. I could not more highly recommend a wedding planner! Hiring Ever After Events was the best decision I've ever made!! Shereen is not only incredibly organized, but she is personable, easy going and made every meeting and call fun and relaxed. My husband and I, as well as our families, were incredibly impressed with how Shereen followed through with every detail of our wedding and took care of everything from start to finish. We couldn't have been happier with how our wedding turned out and it was all thanks to Ever After Events. We highly recommend these fabulous people!! My advice: HIRE SHEREEN! Shereen is beyond amazing! Shereen went above and beyond in every respect for my son's destination wedding in Napa. When the venue for our 125 person rehearsal dinner had to be changed only three months before the wedding and I was unable to travel to Napa to find a new venue, Shereen cleared her schedule, traveled to Napa, toured winery options helped us find the perfect venue. Shereen coordinated all of the vendors (florist, rental, photographer, caterer, winery, audio, busses) and made sure every aspect of our event was perfect. She made suggestions that enhanced our event and managed the timeline seamlessly. She worked with me and with the bride and groom to be sure the evening came together perfectly When I expressed concerns about keeping young children entertained during a multi-course wine-tasting dinner, Shereen suggested activities and alleviated my worries by choosing one of her team members (a teacher) to be available to entertain the children. Shereen and her team were onsite to be sure every detail (of which there were many) was implemented perfectly from start to finish. The rehearsal dinner was a celebration that was exactly what the bride and groom envisioned. Much of the credit goes to Shereen and her expert attention to detail, ability to manage people and resources, and warm heart. She is THE BEST. Shereen is absolutely AMAZING! I owe everything to her! Because of her I was a stress free bride on our special day. Due to her vast experience she had all the answers. From day one she took a huge weight off my shoulders giving me a stress free engagement. She thought about absolutely everything! I could not have done any of this without her. I am forever grateful for her involvement. She constantly reminded me of important details and due dates. She stayed on top of vendors ensuring that they were on time and provided quality service. Shereen we love and miss you!!! You will not be disappointed by Ever After Events!!! We truly have appreciated Ever After Events & Shereen Shariq for outstanding value, support, and quality of service. We strongly recommend ANYONE to use EverAfter Events for their wedding, or any event for that matter~ as its truly the best!!! Shereen was absolutely the reason I was able to enjoy my daughters wedding. She was on point with all the coordination and ensured everything went off without any issues. She was a pleasure to work with and highly recommend her services. Shereen was incredible and a key reason for our wedding running as smooth as it did. Through multiple conference calls she was able to bring light to many of the intricate details that had not been previously discussed. Shereen was also exceptionally understanding of my schedule and was able to adapt to it. Overall both my wife and I could not have asked for a better wedding planner and we are so fortunate to have had her be a part of our wedding. Thanks Shereen! From the day we met Shereen of Ever After Events she understood our wedding day vision and maintained focus for the year of planning our special day. There was in instant connection with Shereen in our initial meeting and our personalities meshed very well. We walked away from that meeting feeling confident that we would be well taken care of. Our instincts proved right and we couldn’t have asked for a better Wedding Planner! We opted for her full service because we lived and were being married in two different states. Friends and family were amazed at how calm we seemed (outwardly!) in the planning of our destination wedding. Ever After Events made it easy. If you’ve envisioned your wedding day down to the smallest detail, Shereen will help you make that happen. And if you have a limited view of your wedding day, she will help you develop your vision! If issues arose with the vendors before, during or after our wedding, from the biggest to the smallest concern, Shereen served as our representative and advocated for whatever change was needed. She was readily available to answer any questions or concerns we had and we never waited more than a few hours for a respond (especially important for the nervous bride!). Shereen coordinated and assisted us in reviewing all the vendor contracts and making sure everything was in order. She was also on hand from the rehearsal and all day of the wedding, with a timeline that ensured that everything ran smoothly. 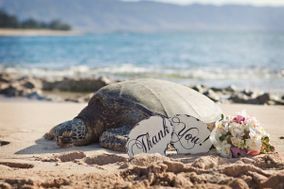 She was extremely attentive, made sure our wedding party was well taken care of and kept them and guests on time and happy. This allowed us to relax (as much as one could on their wedding day!) and enjoy without worry. We knew that we had chosen the right Wedding Planner when we first met Shereen, but our guests confirmed it by saying how good Ever After Events was and how they managed our wedding day so seamlessly! Made our special day, special! After the few expected problems we knew might come up. It was still amazing and she worked very hard throughout the entire wedding to make it a success. Ever After Events was invaluable in the planning of our wedding day. We were complimented repeatedly on all the little details of the day - which wouldn't have been possible without Shereen's help. I had so much fun wedding planning with you!! Miss you girl! Shereen Shariq is a truly amazing event coordinator. She has a great sense of attention to detail; she is genuinely caring and this contributed to my wife and I having the most amazing wedding day. Through her detailed coordination, the overall stress which can be encountered on such a day was significantly reduced. She is amazing with everyone from the vendors to our guests. She received many compliments from family on both sides and my wife and I give her the highest compliments for her services. I have already recommended her to some of my friends and will continue to recommend her services for any other couples who intend to be married. She is the best at what she does, and we would definitely request her services again if required! Thank you so much for your thoughtful review! It means a lot to me that you and Lauren trusted me with this MOST precious day! My favorite parts of your wedding day were seeing you both wrapped in the beautiful Native American blanket during the ceremony, and of course the Terrible Towel recessional-so fun! I hear you and Lauren are beginning some new adventures in Virginia? (That's where I was born!) I wish you all the happiness and adventures your heart can hold! Shereen is the absolute best. As a bride, you need a person who you can easily talk to and vent to, who is outside your family and friends and who understands the stresses of wedding planning. Though my family and bridesmaids were the best, she was just icing to the cake. She's not just your wedding planner, but she so naturally becomes your best friend through the whole process (aside from your hubby-to-be of course:). Thank you my dear! I adored working with you every step of the way! We definitely need to have a Borrone's coffee date when I am back in the fall! Shereen - where do I start? She is like the best friend that you could ever ask for when you're planning your big day. I am fortunate that I have a wonderful supportive bridal party from my mother to my maid and matrons of honor to my bridesmaids - but to have the professional, sweet-natured, calming wedding planner extraordinaire, Shereen, by my side made my wedding process and day seamless. Although we only hired her for partial wedding services, she was always there to discuss ideas I had for my destination wedding, to listen to my silly stresses, to meet up for coffee when she flew into town or to answer any text messages/emails/phone calls despite the time difference. I met her four years ago during my best friend's wedding and knew that if/when I were to get married, I would search for her services for mine and I did. She has all the qualities you would want in a wedding planner - creative, detail-oriented, reliable, organized, compassionate, professional in every sense of the word. Thank you Shereen for all that you did to make my wedding year and wedding day my dream come true! Shereen is amazing. We were not planning on hiring a wedding planner, but were having a hard time navigating the planning process from Seattle. Locating a venue was one of our biggest challenges, so I spoke with our photographers and they told us that they had met Shereen at a wedding show on the island. The second I talked to her I felt better about our planning process. Even before booking her for the "day of" coordination, she was super helpful, had given me a few names to look into, and a venue to check out! We had big plans to do a ton of crafty/pinteresty things for the wedding, but when we actually got to the island, we kind of threw everything out of the window. We had a super mellow, low-key, stress-free day, and part of that was because Shereen was on hand to assist the rest of our vendors with set-up. We stuck to our gut with a few things (not renting a tent, which resulted in the most amazing rain shower blessing) that I'm sure gave her some anxiety, but she was a pro and totally worked with us to make sure we had the wedding that we wanted. I've already recommended her to a friend who is planning a wedding for next year. She really is lovely and was one of the best investments we made in for our wedding. Mahalo nui loa! You hold the crown for "Most Relaxed Bride". I love how you just went with the flow of absolutely everything-including the rain! Your ceremony and reception were a testament to your love of friends, family and each other, and truly everything around you just reflected your inner beauty! Mahalo for entrusting me to help you organize this sacred day. It was an honor and a pleasure! My wedding would not have been possible without Shereen. From the moment we met her to the minute we said good-bye every single experience with her was awesome. She helped me with every detail and helped make my vision come together. It's been 5 months since my wedding and people are still talking about it. I have to give Shereen so much credit because it went off like clock work. Everything happened just as it was supposed to. I tried to find some constructive criticism for her but, I got nothing. There are no words to describe how thankful and appreciative I am to her. She helped our wedding turn into a marriage. So from the bottom of our hearts...thank you!!! We weren' thinking of getting a planner before but since it is a destination wedding, we thought it would be best to just have that person who can be there when we aren't during the planning process---and have that peace of mind the day of the wedding. Shereen was the first vendor I met with and we totally clicked. I met with 3 more just to scope out the options and decided to go with Shereen. For a few more $$, we didn't have to worry about having our phone meetings timed; I can email and text her anytime, as many times as I want. She started working with us months before the wedding, even though her partial planning contracted said 3 months before. When we got the big vendors booked, she would send us checklists every few weeks of other stuff to do---she made sure we took care of the small details too. She took care of us when we had little hiccups with our venue and made sure we were taken care of by our vendors. Wedding week, especially wedding day went by so smoothly with her by our side. She took care of all the small details, made sure we had time to eat and have fun and not worry about anything after all is over. Everyone told me I was the most stress-free bride and I have to say a lot of it was because of her. I've already been telling people to get married in Hawaii and get her as their planner. AMAZING!!! There aren't words to describe how thankful I am to have had Shereen as a wedding planner. Always a great, positive vibe! Extremely professional (not stuffy, just SUPER on it). She's on top of all the latest trends and has creative and unique ideas. Our wedding would not have nearly been as wonderful without Shereen. I asked her for suggestions for just about every vendor and used everyone she recommended. They were all great! I trust her judgement completely which is imperative when you're a destination bride. I HIGHLY recommend her to anyone looking for an event planner. With her, your event will definitely be a success! I think Shereen did a fantastic job planning our wedding. I am still amazed that the entire event went off without a hitch...especially since I was kind of the anti-bride. I just wanted a low key fun event for my family and friends. With Shereens help and the help of the other vendors, my wedding exceeded my expectations! We planned our destination wedding from Chicago with the help of Shereen. We had never been to Hawaii but thanks to Shereen sending us photos and videos we were able to choose a beautiful venue for our wedding. The Modern Honolulu hotel was more perfect than we could imagine for our event. We were particularly concerned about the food and cake, as we were not able to taste either beforehand. We trusted Shereen's advice on both and both were a hit at the wedding. Everything was delicious. Shereen assisted with planning step by step to make sure that no details were missed. She made awesome recommendations and was always mindful of our budget. The day of the wedding my now husband and I, were able to enjoy a relaxing breakfast before I had to get started with hair and make-up, etc. Shereen made sure that I had everything in order and that everything ran smoothly. I could not imagine our day going any smoother, thanks to Shereen. At the end of the night all we had to do was go up to our hotel room. Shereen had already made sure to take our gifts and wedding items up to our room. She made sure to have extra pieces of wedding cake waiting for us in our room as well, which was a great snack at the end of a long day! Hiring Shereen was definitely a great choice. Shereen is full of great ideas and willing to help brain storm new ones. She is creative, prompt, and direct when needed. It was a pleasure having Shereen as our wedding planner, she kept my bride 'more sane' (smile) which helped us immensely through the wedding planning process. Overall the day went off without a hitch and Shereen did a great job making everything happen while keeping to the schedule. I debated for several months on whether I truly needed a wedding planner. When I first met Shereen I was initially impressed with her organization, enthusiasm, and professionalism, I was hestitant to spend additional cash on something I thought I was perfectly capable of planning myself. I am a detailed, organized person and have planned large events before, so I could surely plan this rather small event (100 ppl). As the plans progressed, I became overwhelmed with planning and wanted help on island (my husband and family live in the mainland). A couple months after our initial meeting, I recontacted Shereen and was so relieved that she was still available for my wedding day. Despite my initial reluctance, I can honestly say hiring her was one of the best decisions I made while planning our wedding, and the money best spent. Shereen was simply amazing to work with. From generating creative ideas to recommending vendors (with discounts:)) to organizing and carrying out the day of timeline, she was fabuolous! She was always available and responsive to questions, concerns, and assisted with a major last minute change of vendor. I really appreciated her passion and enthusiasm. 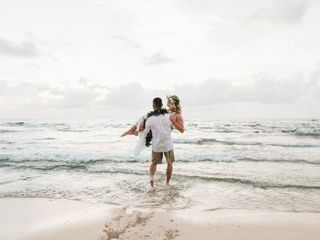 There were times I would show up at our meetings wishing the wedding would plan itself and be over, and after each meeting I would leave feeling reassured, energized, and excited about completing my "assignments." With regards to her professionalism, she worked very well with other vendors and minimized my interactions with them in the days before the wedding. The day of went off without any glitches, at least that I am aware of. If there were any glitches, Shereen took care of them. Her attention to detail is unmatched and I was amazed at her ability to seemingly be everywhere at once. She managed to set up the ceremony and reception sites (within some fairly rigid timelines set forth by the venue), while ensuring the bridal party was set and attended to, and everything ran on time. The day was fabulous, thanks to her! I can't say enough about her. Our guests were even raving about her! Please don't hestitate to hire Ever After Events, I cannot recommend her enough! We can't say enough about Shereen and Ever After Events. We hired a "day of coordinator" but really felt like she had our best interests at heart for the entire 6mos we worked with her. It seems we asked her about everything under the sun and she always had an answer or a fresh idea. She even ran around the day of our event to ensure we had a special guest book we had ordered but had never arrived by mail. She's young, enthusiastic and determined to make every aspect of every event magical and all about you. Anytime I felt frazzled, I e-mailed or called Shereen and walked away from our interaction feeling calmer and more relaxed than I started. Going into our wedding plans, we had no plans to hire a coordinator but I can't imagine it any other way now. The value she added in so many ways was well worth every cent. Our groomsman said it best when he said, "I want to hire Shereen to run my life." Thanks, Shereen...for everything! Where to begin! Shereen was more than professional and on point for my wedding. She stood by me through the biggest and smallest decisions throughout the whole planning process, even when I completley deconstructed my whole wedding plan, venue and all! She is honest but still takes into account what your wedding wishes are! Honestly, I couldn't have asked for a better person to play such an important role in my day, if anything went wrong that day, you can bet I never knew a thing about it because Shereen took care of it all. She pays attention to the details and even when you freak out that you forgot to return the linens the next day, she was there to save me on that one too. Shereen went above and beyond and I can attest to her passion and love for her career. Being that this was a destination wedding and my family lives so far from me, she was there in place of my mom and sister for those late night emails and chats or when I had a silly question about how to word something on my invite or the order of the ceremony. 5 stars for Ever After Events, our wedding day was above and beyond our expectations! I hired Shereen through the Living Social deal she published. I did not originally think that I would need a wedding planner, since I feel comfortable with getting contracts, talking to vendors, time tables, budgeting etc. However, the one area I knew I needed help with was creative ideas for the personal touches to make my wedding feel special. This is where Shereen came in. My Living Social voucher included 2 1-hour sessions, which I used to talk to Shereen via email and skype about my wedding, about us as a couple, and about my vision for the event. She asked me personal questions to get a sense of who we were and gave me some homework to help her develop her ideas. Then in about a week, she came up with THE MOST AMAZING vision board with ideas that I could buy or do to make my wedding details both personal and beautiful. She really listened to the details in my stories and came up with things that I could never have dreamed of in a million years. I have incorporated many of them into my wedding and I am so excited to see how they turn out! Even though I did not hire Shereen as my wedding planner, I consider her my "creative inspiration coordinator". She is talented, sweet, easy to talk to and get to know, flexible (I worked with her long distance and with a 6 hour time zone difference), and did I mention TALENTED? Like her on Facebook to see just a sampling of her amazing ideas, and I hope she will become your inspiration and friend for your wedding as well!